The Fast 50 will begin on Sunday, February the 17th at 8am. This course replicates the speed of the Fast 28 and adds a more difficult challenge, taking you over to Route Twisk via Ho Pui Reservoir and the mountain biking trails between Tai Mo Shan and Tai Lam. This is still a very speedy course, covering 50km and about 1300m of elevation gain. The views will not disappoint! This event will have an 11 hour cut-off with 3 full Aid Stations and 2 Water Stops. The Fast 100 will begin on Saturday, February the 17th at 8am. 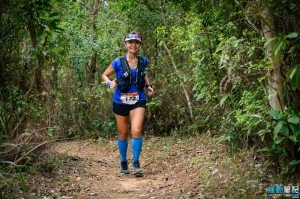 This course covers all the same ground as the Fast 50, but adds some amazing single track trail from Route Twisk to Shing Mun and then some beautiful fast running trails around Eagle's nest and then around the entire Shing Mun Reservoir. 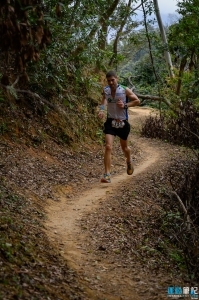 This is the fastest 100km race in Hong Kong, covering 100 km with about 2800m of elevation gain. Don't be fooled into thinking this will be easy though! There are hardly any stairs in this race and it's difficult to keep the legs moving fast. Think the Tarawera 100, Ultra Trail Australia or Western states. There is A LOT more running than hiking. This event will have a 24 hour cut-off with 9 full Aid Stations and 4 Water Stops. The Fast 28 will begin on Friday, February the 15th at 7pm. The Fast 50 will begin on Sunday, February the 17th at 8am. The Fast 100 will begin on Saturday, February the 16th at 8am.